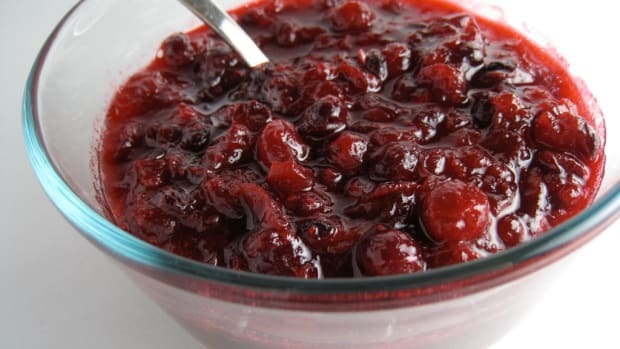 If you&apos;ve ever opened a can of cranberry &apos;sauce&apos; and dumped it onto a platter for Thanksgiving, you&apos;re not alone. 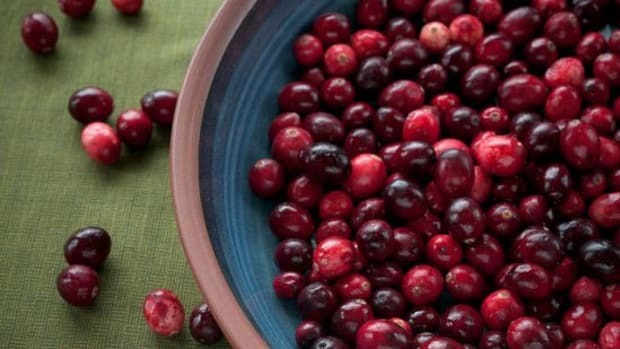 Ocean Spray, the cranberry cooperative with more than 600 member growers, reports revenue of more than $1 billion annually, coming from sales based on a single food: Cranberries. The tart and sweet berries are loaded with antioxidants like vitamin C, flavanoids including quercetin, myricetin, kaempferol, anthocyanins and triterpenoids. In other words, they&apos;re pretty darn good for you year round, not just as a relish on Thanksgiving. 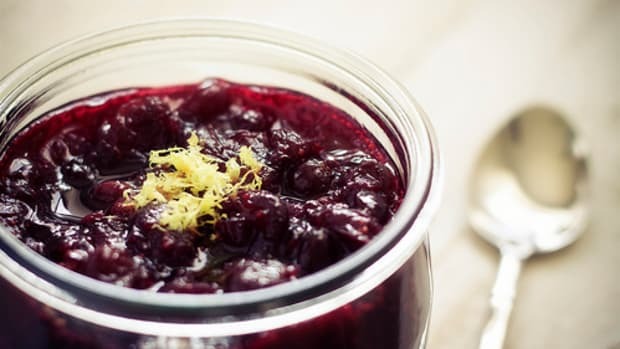 Geeked for ideas how to use the cranberry in addition to sauce? Here are six ways to include them, plus a sauce recipe almost as easy as opening a can but way more delicious. Cranberry Risotto: One of the best winter dishes, risotto is warm and flavorful. 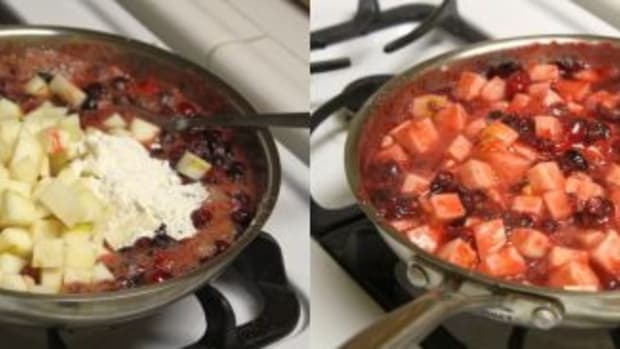 For 1 cup of rice add ¼ cup fresh cranberries to your recipe at the same time you add the rice so that they pop and calm during the cooking process. Perfect with a chanterelle or shiitake mushroom risotto. 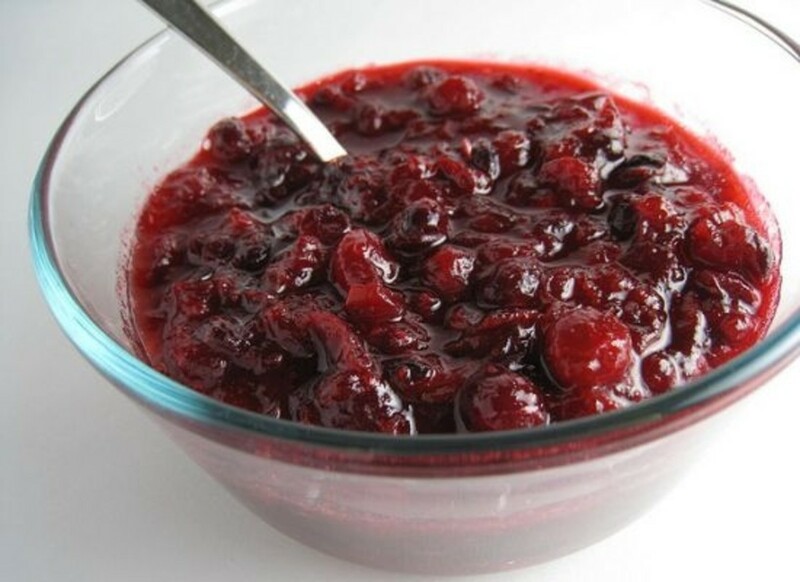 Cranberry Chutney: Like a traditional cranberry sauce, chutneys balance sweet and tangy. Making chutney is easy and they can be used on everything from sandwiches and wraps to the more traditional function in complimenting Indian foods. Pairs well with mangos or apples and lots of ginger, cinnamon and cloves. Cranberry Pancakes: This is actually a great way to use the leftover cranberry sauce from Thanksgiving. Instead (or in addition to) blueberries or strawberries, mix in a few teaspoons of cranberry sauce and dollop on top of your pancakes. Vegan Cranberry Cheesecake: Cranberries make a great dessert, especially since their tartness offsets the excessive sweetness of most desserts. One outstanding use is atop a non-dairy cheesecake instead of cherries. Cranberry Absinthe Cocktail: Ok, so maybe this isn&apos;t the healthiest use either, but paired with absinthe, sparkling water and a squeeze of lime, fresh cranberry juice finds a whole new meaning. 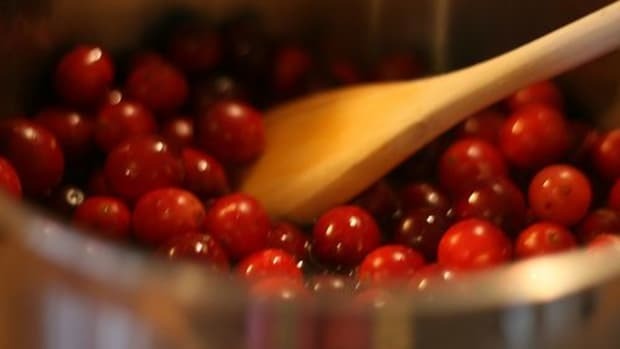 Cranberry Salad Dressing: We see cranberries in salads a lot, but one exceptional use is blended into a dressing with a bit of olive oil, balsamic and lots of fresh pepper. 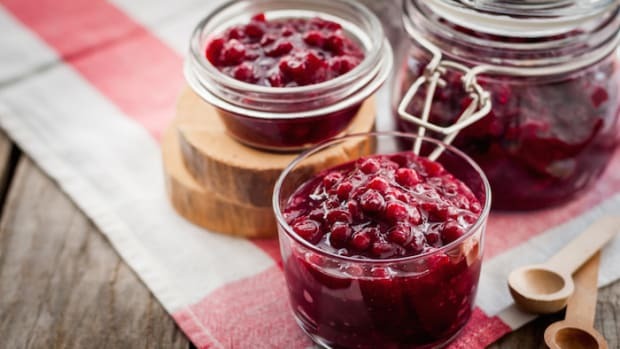 Organic Cranberry, Pomegranate, Persimmon Relish: Pairing cranberries with delicious seasonal favorites like pomegranites and persimmons coudn&apos;t get any easier, and you can make it in advance! Bring all ingredients to a boil and reduce heat to low simmer. 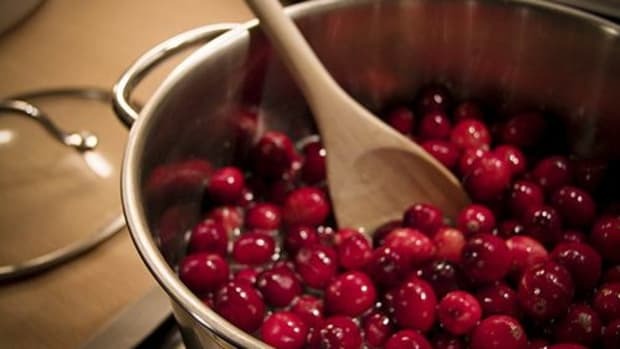 Cook until cranberries have popped and gelled. Chill for at least 3 hours before serving.